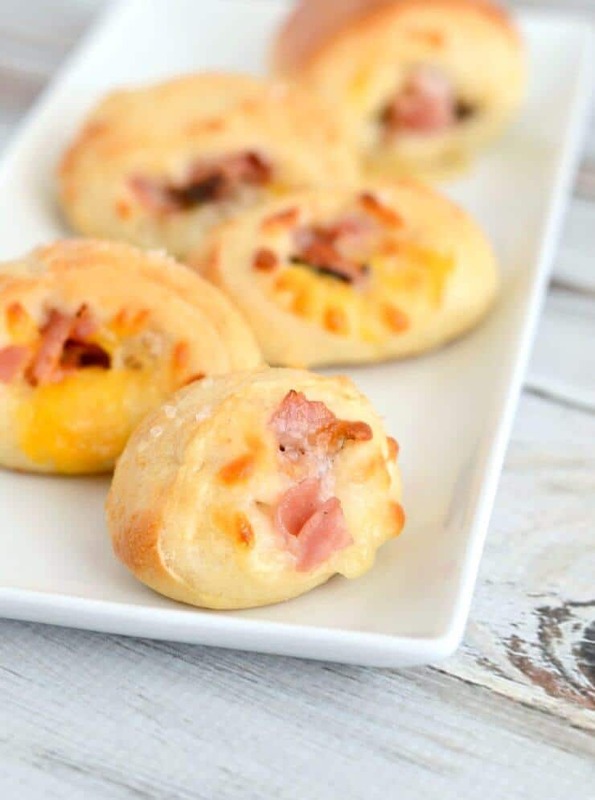 Ham and Cheese Pretzel Bites… these are a perfect appetizer for any party or gathering. They disappear in a flash! Loaded with cheese and chopped ham, these soft and chewy pretzel bites are hard to resist. Who doesn’t love melted cheese and ham wrapped up in a soft and chewy pretzel? So yummy! We are huge fans of soft pretzels at my house, and we make them all the time. Recently I have been experimenting with new ways to serve them. I tried pretzel rolls a few weeks ago, and they were a big hit. This ham and cheese version is definitely a new favorite! You start by making a basic pretzel dough, dividing it into fourths, and rolling each portion into a rectangle about 12 x 4 inches long. 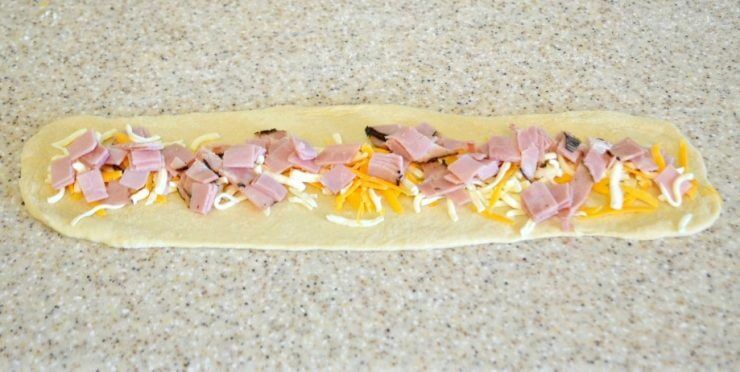 Sprinkle some ham and cheese down the center. I used cheddar and mozzarella, but you can use any cheese you like. 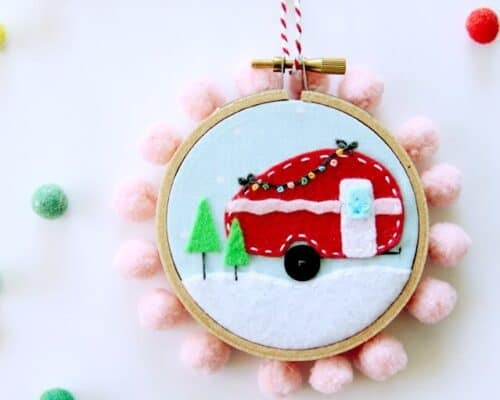 Then you gently pull up the sides and pinch the edges together to seal the whole thing. Place the rolls on cookie sheets lined with parchment paper, and let rise till doubled. Then you have the option of boiling the pretzel rolls. This step makes the pretzel bites more chewy like a traditional pretzel, but I tried some without boiling, and they were still fantastic. So it’s up to you. 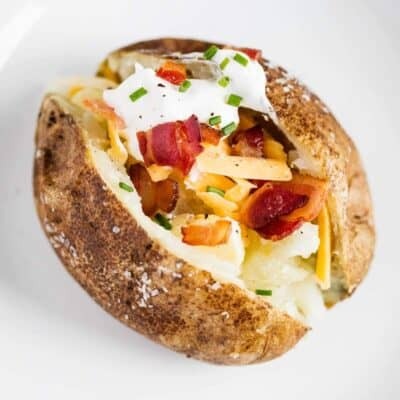 To boil them, you gently drop a pretzel roll into a pot of boiling water that has baking soda and sugar in it. Boil for just a few seconds, then gently remove with two slotted spoons. After they are boiled, cut the rolls into one inch slices and place them on well greased cookie or silicone lined cookie sheets. The boiled pretzels (the ones on the back of the cookie sheet below) will have an uneven texture, but don’t fret. They will bake up just fine. 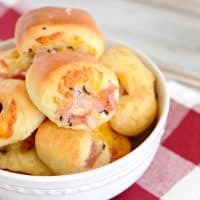 Ham and Cheese Pretzel Bites are so delicious! 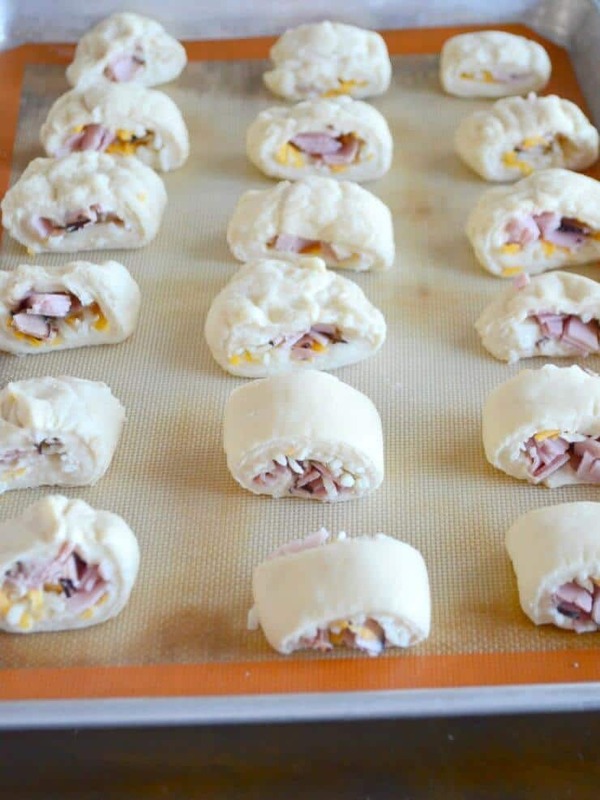 After you bake them, they will puff up beautifully and be oozing melted cheese and ham. When they come out of the oven, brush them with melted butter and sprinkle a little coarse salt on top. Oh my. 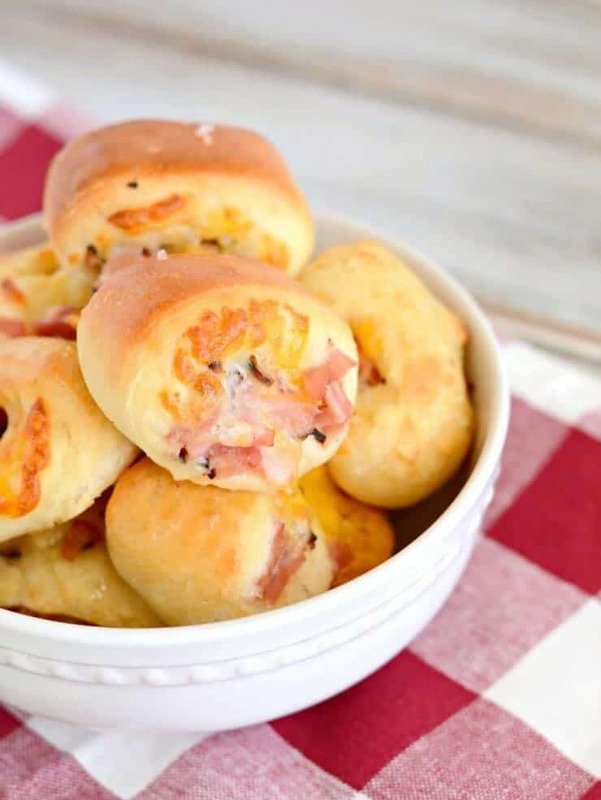 These ham and cheese pretzel bites are SO good! 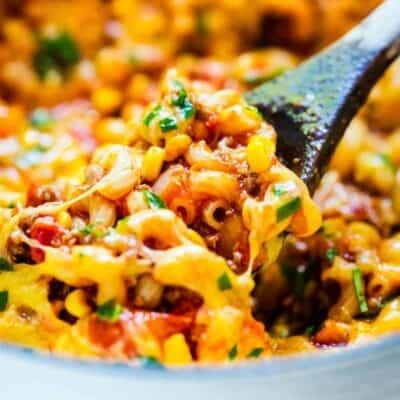 So cheesy and so good! 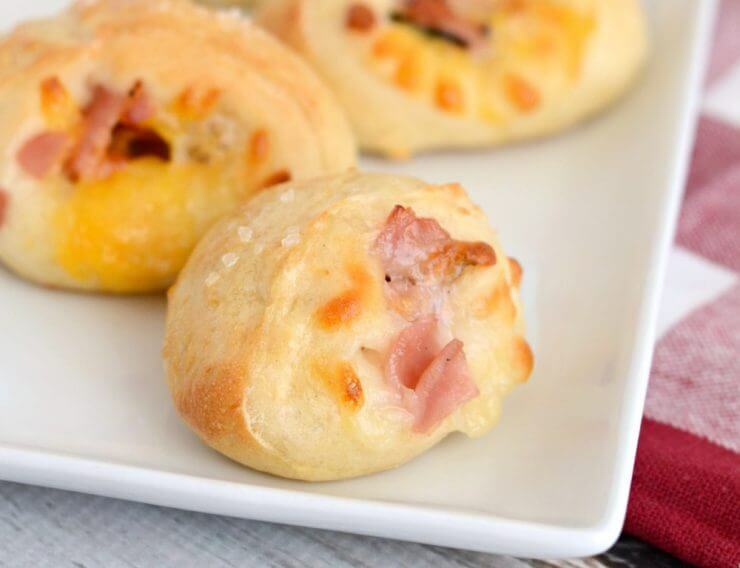 These ham and cheese pretzel bites make for a perfect appetizer for your next dinner! Combine water, yeast, and sugar in a large mixing bowl. Let sit till bubbly, about 3-4 minutes. Add milk, salt, and enough flour to make a fairly stiff dough. Knead a few times on a floured counter top. Return to the bowl and let rest for 5-10 minutes. Divide dough into 4 equal portions. Roll each portion out into a 12×4″ rectangle on a countertop sprayed with non-stick spray. Sprinkle 1/2 cup cheese and 1/2 cup ham down the center of each rectangle. Pull up the sides and pinch closed. Place seam side down on a cookie sheet lined with parchment paper. Let rise till doubled, 30-60 minutes. Optional water bath: Bring 3 quarts water, soda, and sugar to a rolling bowl. Carefully drop one long roll into the boiling water. 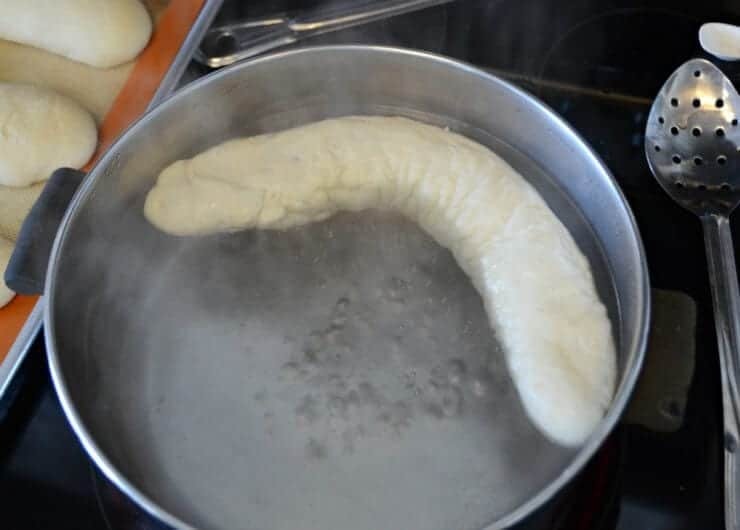 Boil 10 seconds and flip over. Boil 10 more seconds and carefully remove with two slotted spoons. Cut each roll into one inch slices. 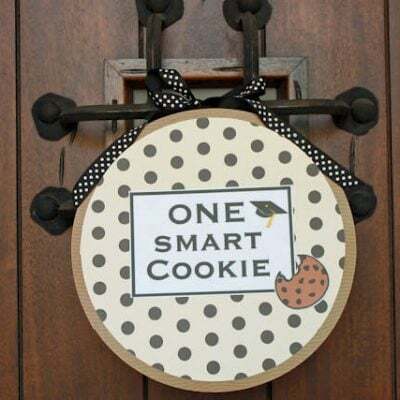 Place on a well greased or lined cookie sheet. Bake at 400° for about 15 minutes or till golden brown. Brush hot pretzel bites with melted butter and sprinkle with coarse salt if desired. 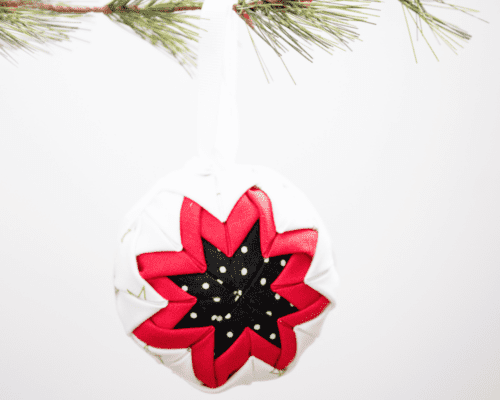 If you love this amazing appetizer – perfect for your holiday celebrations – you’ll enjoy these, too! Yum! 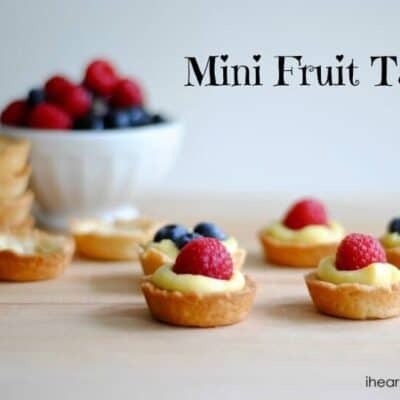 THese would make a great after school snack or party appetizer. I love pretzels and I love making them a higher protein snack with your additions.